With a hitch weight of 555 lbs. and a GVWR of 6250 lbs, you can journey to far away destinations with ease in this 31' 11" long, 8' 0" wide Travel Trailer! The exterior has a fantastic 18' 0" awning for relaxing outdoors, rain or shine! The interior stays nice and temperature controlled no matter the weather outside, thanks to the 13500 BTU a/c and the 25000 BTU furnace! 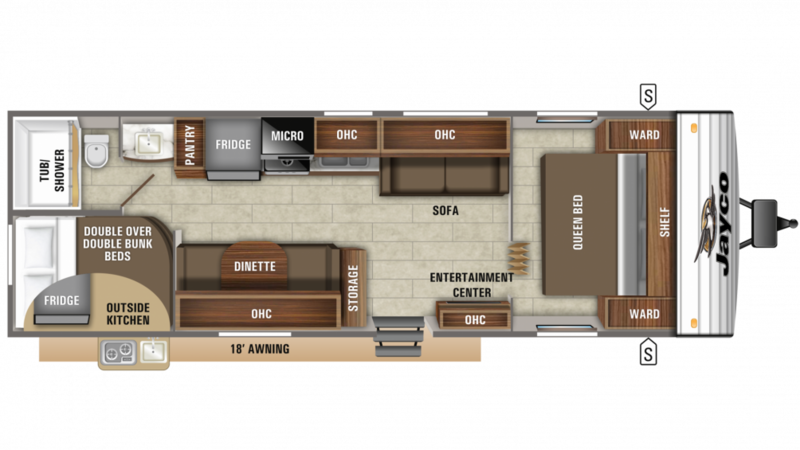 You'll have plenty of space inside this 31' 11" long, 8' 0" wide RV, which has slides! Avoid bumping your head inside this 10' 6" high RV! So many people can sleep comfortably inside this cozy RV! There's enough sleeping accommodations for up to 10 people! The master bedroom is especially comfy, with its snug and spacious Queen bed! Take a break from the campfire food and make a home-cooked meal in the kitchen! There is a 6.00 cu. ft. refrigerator, 3 burner range cooktop, and more! With the 42 gallon fresh water tank, you'll have plenty of clean drinking water! You'll enjoy the convenience of your own private bathroom right at your campsite in this Travel Trailer! It has a Marine Foot Flush toilet, a sink vanity, and a shower heated by the 40 lbs. of LP tank capacity. The used water is dumped into the 39 gallon gray water tank and the 39 gallon black water tank! When you're on the road enjoying full days of outdoor fun, you know it's important for your family to get a good night's sleep to recharge their batteries for the next day! 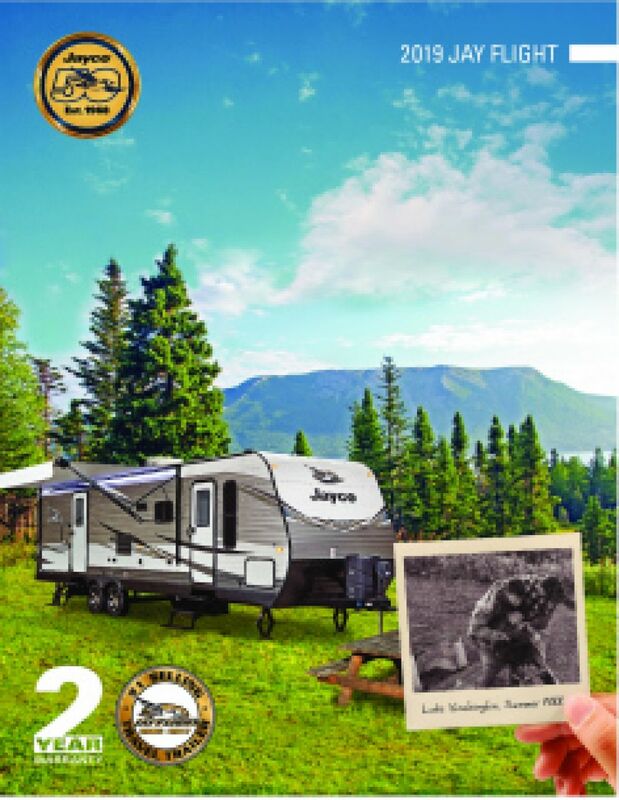 That's what everyone will enjoy in the Jayco Jay Flight SLX 298BH because it comes with Bunkbeds in the roomy bunkhouse! It's lunchtime but you're having a blast outside. Should you go inside the RV to cook up a meal, or make your lunch out in the fresh air and sunshine with the outdoor kitchen? It's super convenient and easy to use!